Preservation Virginia is a statewide historic preservation leader dedicated to perpetuating and revitalizing Virginia’s cultural, architectural and historic heritage. The organization was founded in 1889 as an advocate for historic places and their roles in the lives of Virginians. 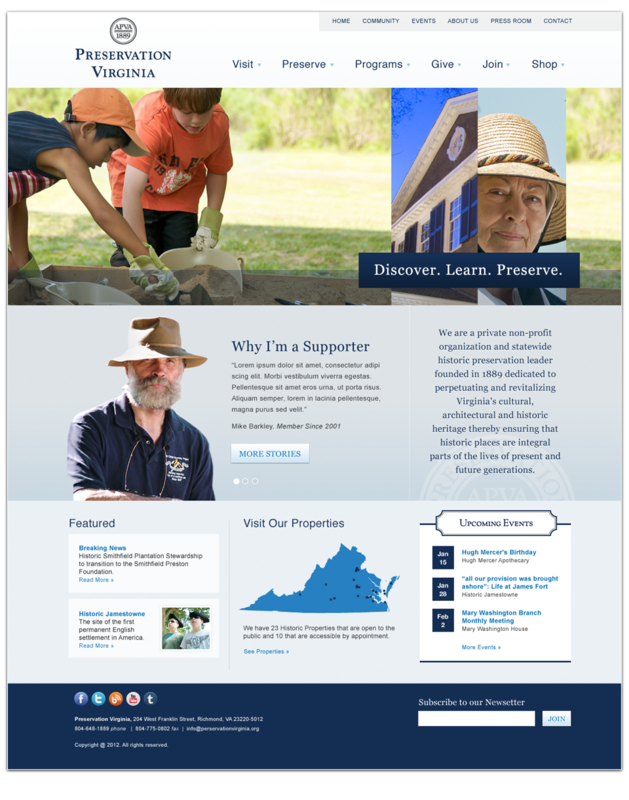 The goal of the website redesign was to better tell the story of Preservation Virginia in an innovative, creative, and compelling way. The website also needed to speak to many different audiences with a wide range of needs in order serve the foundation’s broad constituent base.